Here is a place where all children are reminded of the possibilities that are available to them in life. 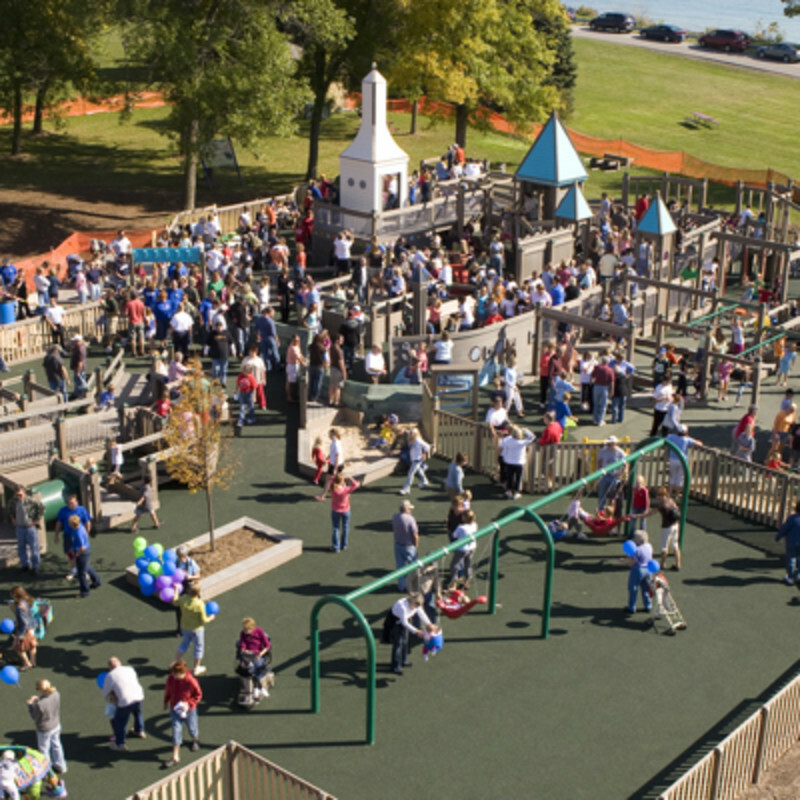 Port Washington’s Possibility Playground allows children of all abilities to play together. Playtime quickly turns into learning time and therapy time thanks to the variety of over 30 specialized pieces of equipment and activities available at the playground. There are monkey bars, musical alligators, bridges, and a pirate ship complete with waves, a motion platform and a rain wheel. The poured-in-place latex-free soft surface that spans the size of a football field is easy and safe to maneuver.